During The Classics Club Readathon a few weekends ago, I started reading The Lord of the Rings: The Fellowship of the Rings. I have watched the films on numerous occasions and have had this book on my shelf/in the wardrobe of books for months. I originally attempted to read this book when the first film came out. I was about 13/14 and reached roughly page 100 and I gave up (shocker!) The language was too dense for me and not what I anticipated. 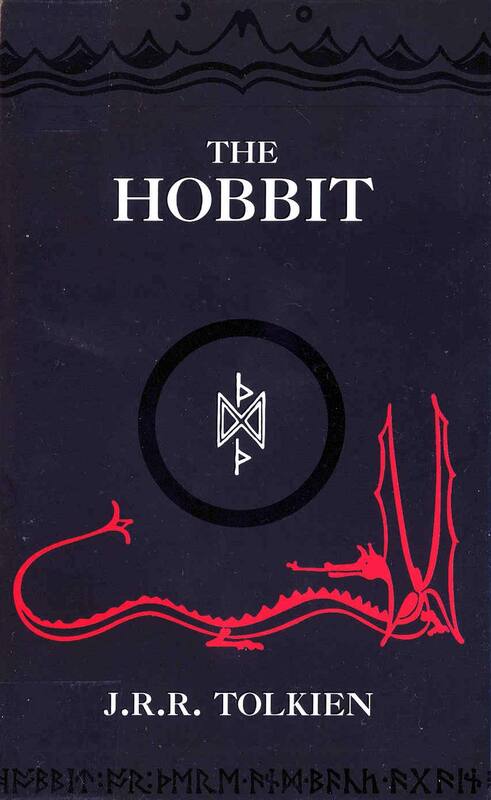 A few summers ago I picked up a copy of The Hobbit at a Vintage Fair and one hot summer’s day I sat on the sun lounger and barely moved until I finished it later that evening. I absolutely loved it and became entranced with the world of Middle Earth. After such a positive reading experience I was determined to give The Lord of the Rings Trilogy another chance. and in the darkness bind them’. And so begins the biggest adventure of Frodo’s life; a journey that takes him to meet elves, dwarves and men; to the depths of Moria and to Elven lands; along great rivers and through dark and magical forests. As I have mentioned I have seen the film adaptations of The Lord of the Rings several times and I watched the trilogy recently. Luckily for me this enhanced my reading of the novel and I am pleased to say that not only did I get to the end oft he novel this time, but I actually really enjoyed it. I found it easy to visualise the different descriptions and environments and this in turn made the novel an easier read and also an enjoyable one. Although I knew the outcome of the novel, there were still many sections within it that surprised me, such as the character of Tom Bombadil. I fully understand that film makers cannot include everything within the film, so it is lovely to read the novel and experience the bits that didn’t quite make the cut. 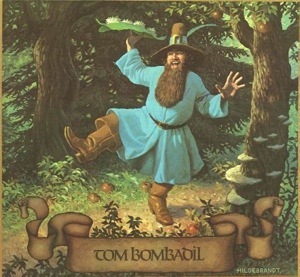 I think it would be difficult to choose a favourite character from the novel; I liked Tom Bombadil for his cheerfulness and of course Gandalf is an infamous character synonymous with the mere mention of LOTR. Overall, reading The Lord of the Rings: The Fellowship of the Rings was an enjoyable experience and I am very glad I picked it up again and also that I picked it up when I was a bit older and fully able to appreciate the mastery of Tolkien’s writing. 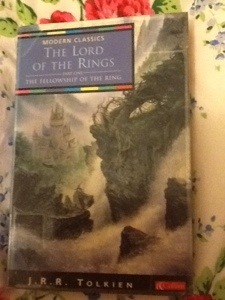 For me it is not quite as engaging or easy to read as The Hobbit and I still think I prefer The Hobbit overall as it is a book I can imagine recommending to children, teenagers and adults alike, whereas I think you have to be a voracious reader to fully appreciate The Lord of the Rings. I read this book for both The Classics Club and as a reserve for my TBR Pile 2014. I LOVED this book! I don’t know if it is because I wasn’t expecting to enjoy it that much, if it is because I didn’t plan to read this, more that I just picked it up randomly instead of spending hours deciding, or because I was finally able to sit in the garden on Monday and so my mood was instantly cheerier. Regardless of any of these I just feel as though The Hobbit and I found each other at just the right time in my life so I was able to fully devour and appreciate it…so much so that I finished reading it in a day. The Hobbit is the prequel to Tolkien’s renowned Lord of the Rings trilogy, which have become infamous since Peter Jackson’s fantastic film adaptations. In The Hobbit we meet Bilbo Baggins, the eponymous hobbit, who is essentially dragged away from his cosy hobbit-hole and life of routine, and taken on an adventure with thirteen dwarves and Gandalf the wizard. The dwarves are on a quest to recover the lost treasure of their forefathers, which is currently being guarded by Smaug the Magnificent…a dragon! On their treacherous journey our heroes encounter trolls, goblins, elves, as well as Gollum and the ring that plays a significant part in the LOTRs trilogy. Why was I surprised that I enjoyed it so much? The easiest way for me to collect my thoughts on this novel is to ask myself the above question; why did my enjoyment come as such a shock? Surely I wanted to read it, and no one willingly chooses to read a book they know they won’t like, so why am I so surprised? I think my answer comes in two forms, that are rather wrongly based on assumptions, and how many times do we hear that making assumptions is a terrible thing. And the two factors that led me to this conclusion – I’m not really a huge fan of sci-fi/fantasy fiction and tend to avoid it, and I somewhat unsuccessfully tried to read The Fellowship of the Ring when the film first came out and I couldn’t get past the first 100 pages. My previous struggle with Tolkien made me slightly sceptical when approaching The Hobbit, as I remember being weighed down with pages and pages of detailed (and dull) description, which I can only liken to wading through mud, and this in turn made the novel slow paced and difficult to get in to. This is one of the disadvantages of seeing the film first; you are aware of the plot and so expect the action to happen quickly. This is why I was keen to read The Hobbit before the film comes out (something I am keen to do with Anna Karenina too). Luckily I had a completely different experience when reading The Hobbit. It was fast paced and thrilling; the characters were moving from one obstacle to another quickly, facing new challenges in every chapter. There was enough description of characters and setting for me to visualise them without getting bogged down with the minute details, and this allowed me to feel more in tune with the characters and the action as it happened. The world Tolkien has created is fascinating, and I am only sorry that my first reading experience of this was not as enjoyable as my most recent one. I am definitely looking forward to the film now, and I am almost tempted to give the LOTR trilogy another go, but maybe I will wait until I have worked my way through the other 9 million books on my TBR list. 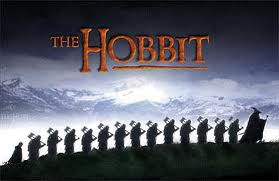 Hopefully my attempts to add a video clip in to this post will work, as I feel like sharing The Hobbit trailer, mainly because I was very interested to notice that there are women in it and I don’t seem to remember reading about any female characters in the novel, but I could be wrong!